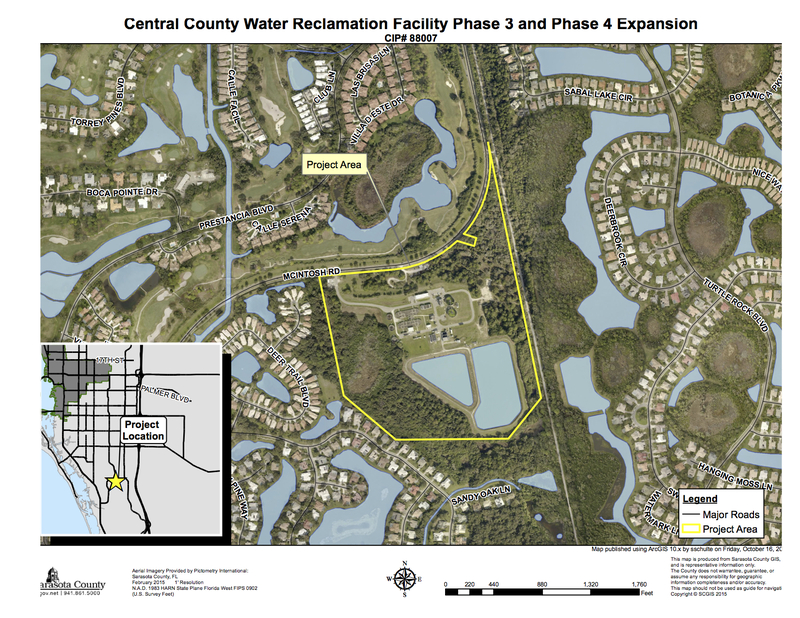 With a compliment from one board member about how the bids were handled, the Sarasota County Commission on Oct. 27 unanimously approved a $12,279,000 contract with Poole & Kent Co. of Florida in Port Charlotte to construct Phases 3 and 4 of the Central County Water Reclamation Facility. The waste treatment plant is located at 7905 S. McIntosh Road, between Palmer Ranch Parkway and Sarasota Square Boulevard. 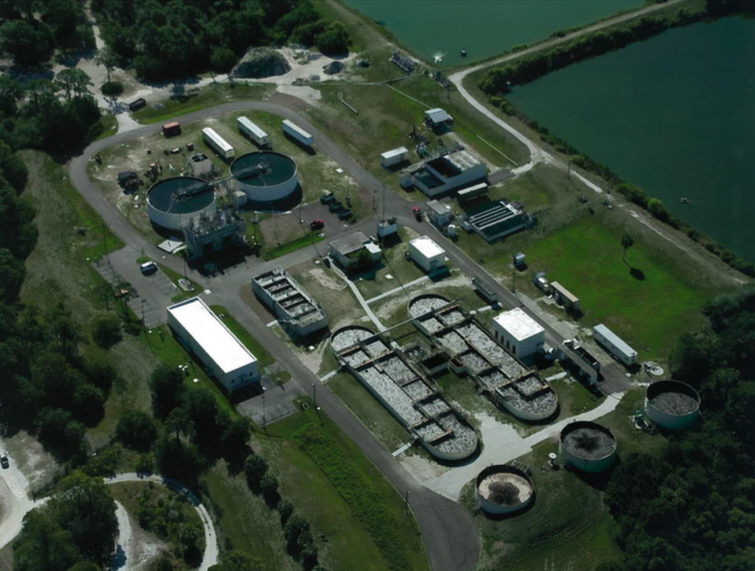 After the construction is completed in October 2017, a staff memo noted, the facility will be handling wastewater from the Siesta Key Advanced Wastewater Treatment Plant, which will be decommissioned according to an environmental agreement between the county and the state. Lori Ann Carroll, the county’s utilities/environmental operations manager for capital projects, pointed out that a county facility on Bee Ridge Road will handle the rest of the Siesta sewage. 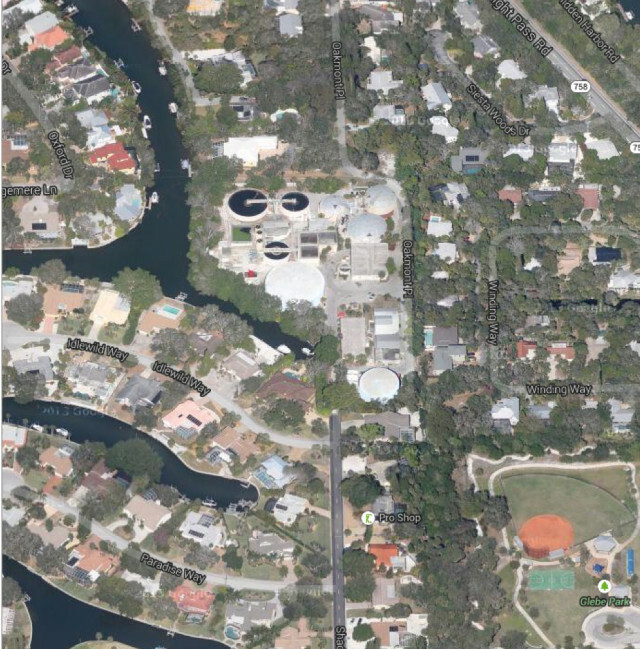 The vote included approval of a $1,344,032 agreement with Stantec Consulting Services Inc. of Sarasota to oversee the project on the county’s behalf. Carroll pointed out to the board during its Oct. 27 regular meeting in Sarasota that the four bids for the construction work ranged from $11.4 million to about $16.4 million. TLC Diversified Inc. of Palmetto, which submitted a bid of $11,394,554,“was deemed non-responsible because [it was] unable to provide project references that met the qualifications,” a staff memo explains. During a discussion prior to the county Procurement Department’s recommendation of the bid award, Poole & Kent staff members affirmed they were “extremely confident with their prices,” Carroll told the board. “Their estimator put together a bid. Their estimator’s estimator put together a bid, and they even brought in a third-party consultant to look at it,” Carroll said. The Central County Water Reclamation Facility was designed for a maximum capacity of 8 million gallons per day, Carroll explained; its current treatment level is 4.8 million gallons per day. The plant’s demand has increased because of more development in Palmer Ranch and areas surrounding it, as well as the implementation of the county’s Phillippi Creek Septic System Replacement Program, Carroll noted. “I think we’re right up around 8,000 connections now” as a result of the latter, she said. About 1,200 more sewer connections are under construction through that program, Carroll added. Because of the cash-flow constraints of the county’s Utilities Department when the Central County Facility was being designed, Carroll explained, the project was planned to be built in phases. However, as the design work neared completion, a staff memo says, “the construction market appeared to be trending towards lower costs for work considered within Phases 3 and 4.” Therefore, staff put together a bid option just for Phase 3 and a separate option for building the last two phases at one time. The engineer’s estimates for Phase 3 and Phase 4 were $10,549,000 and $6,545,000, respectively, the memo notes, for a total of $17,094,000. That is about $4.8 million higher than the combined Poole & Kent bid. Regarding the Stantec agreement, Carroll pointed out that staff felt it was appropriate because of the county’s financial commitment with the project. Vice Chairman Al Maio made the motion to award the contract to Poole & Kent and to execute the agreement with Stantec. Commissioner Paul Caragiulo seconded it. Maio pointed out that the project will assist with the decommissioning of the Siesta sewage plant, which is in his district. “I just appreciate the way you bid this,” Commissioner Charles Hines told Carroll.